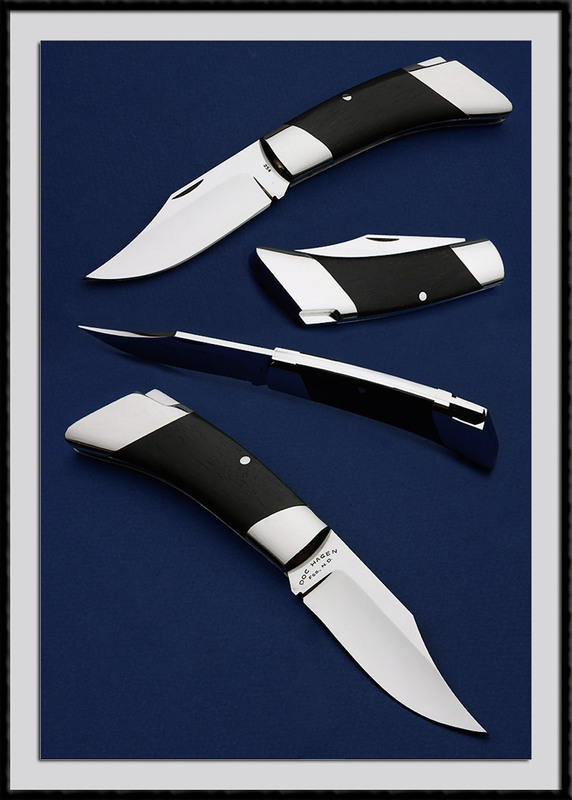 Doc Hagen crafted this Back Lock Folder, ATS-34 Blade steel, BL = 3 1/4”, OAL = 7 1/4", CL = 4", Stainless Steel frame and Integral Dovetail Bolsters, SS Back spring and African Black wood scales accented with all metal surfaces Mirror Polished. Fit and Finish are Top shelf. With the exception of a couple of very light handling marks on the rear "B" side bolster, Condition is Mint.